Matudnila.com - A Cebu Events Blog: Sta. Fe Bantayan Island Cebu Summer Events 2010 updates! Home Triathlon Sta. Fe Bantayan Island Cebu Summer Events 2010 updates! Sta. Fe Bantayan Island Cebu Summer Events 2010 updates! 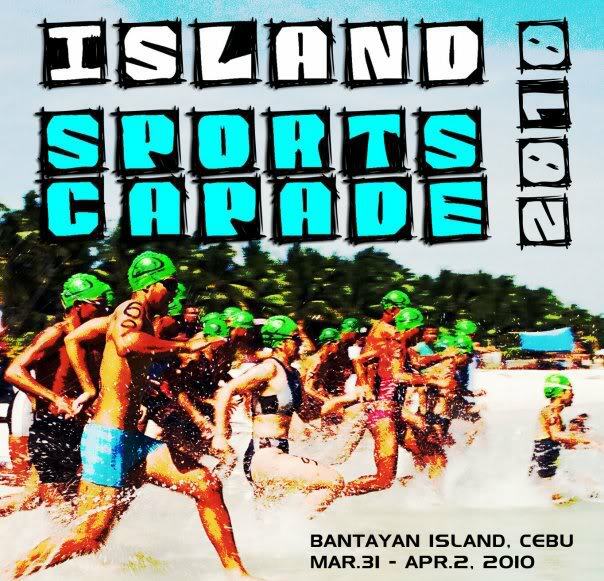 To spice up this summer's multisports events, Funsports is putting up Island Sportscapade in Bantayan island, Cebu this coming March 31 to April 2, 2010, now on its ninth year! Events in the plate are sprint and standard distance Triathlon, Duathlon and Oceanman. The action is expected to set foot at Mac’s Hideaway Beach Resort on the pristine beaches of Santa Fe. Registration is pegged at P350 for each event but you can opt to join as many as you want by signing up for the race-all-you-can fee at P500 which is payable on or before race day at the race site. Registration deadline is on the race day itself however for the online registration is on March 26, 2010. There are many ways on how to reach Bantayan Island. You could choose to hire Taxi Cabs from Cebu City transport you to Hagnaya, Bogo. I think it would charged you a lot though. Hagnaya is the only Public Port where vessels and ferries bound for Sta. Fe, Bantayan Island docks. Or you may choose to ride the private Vans that you can hire for negotiated amount. Another option also is the Public Bus from North Bus Terminal, you can choose between CERES Bus or the other Bus Operators bound for Hagnaya. You cna opt to private Planes too. Bantayan Island has an Airport but I havent tried these way. Accomodations in Bantayan Island is not a problem, you could choose from numerous Beaches and Resorts that lies at the Serene Shores of Sta. Fe. Marikaban Beach Resort, Paradise Beach Resort, Ogtong Cave Resort, Sugar Beach Resorts, Rommel's Beach, Budying Beach Resort, Kota Beach Resort, Marlin's Beach Resort, Tristan's Beach Resotr, Sta. Fe Beach Club and more. Resevations must be done at lest Months from desired visit especially in Holy Week and Summer. 0 comments: on "Sta. Fe Bantayan Island Cebu Summer Events 2010 updates!"